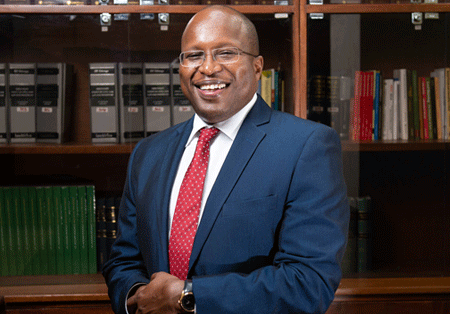 From the above, it is clear that the customary land law tenure and the colonial administration have largely defined the historical underpinnings in Kenya which have in turn greatly impacted the present land law regimes as shall be seen below. HISTORY OF THE LAND REGISTRATION REGIMES. Its history can be traced to 1896 when the colonial administration then felt the need for a simple registration. The Registration of Documents system was recommended in Kenya based on the British experience with that piece of legislation in Zanzibar. It was the first registration statute in Kenya and it set up Registries in Nairobi, Mombasa and Malindi however the registries in Malindi and Malindi were later closed and their registers transferred to Nairobi and Mombasa. It provided for registration of all documents irrespective of whether they related to land. Section 4 of the Act however provided that all documents purporting to confer any right to title or interest in land had to be registered with one month from the date of execution, failure of which, the document(s) could not be adduced as evidence in court. Section 5 on the other hand provided that it was not mandatory to register documents not related to land. It created a simple registration of deeds system which was reflected in the register of documents. Documents registered under RDA did not prove title but only possession in respect to land. Instead, it conferred only interest in land to a person. It merely provided a record of the transaction therefore the state could not vouch for its validity. As result a purchaser had to verify that the Vendor had good root of title. The RDA also lacked prescribed forms. Before the enacted of this statute the Sultan Sayid Baghash of Zanzibar through an administrative agreement entered into in 1987 with Imperial British East Africa Company (IBEACO) ceded the 10-mile coastal strip to the company. The terms of the agreement imposed an obligation on the British administration to administer the area subject to the rights subject to the rights of the inhabitants who were a mixture of Arabs, Indians, Swahili, Mijikenda and other indigenous Africans. The inhabitants had their own system of property rights before this arrangement. Once IBEACO took over the administration of the 10-mile coastal strip, there was chaos among the inhabitants about their property rights resulting in conflicts among them on the ownership of land. In response to this situation the British enacted the Land Title Act (LTA) which was tailored after the 1907 Act No. 3 of Ceylon that had been successfully implemented in Sri Lanka. The main aim of the act was first, to resolve the conflict between the indigenous people concerning the ownership of land through the process of adjudication and second to enable the colonial government to distinguish between private land and crown land situated within the 10-mile coastal strip. It provided for a registration system in favour of individual title claimants as long as they could prove their claims to the title. It introduced an adjudication process meant to sort out the conflicts between the claimants over land. It granted recognition to longstanding or established claims of ownership over land. It did not create interest in the land rather, it recognized the existing rights by issuing titles. It established the Land Registration Court which had a Recorder of Title of tile and a Deputy who presided over it and dealt with the claims lodged. The claimant had to prove that the land in question belonged to him, upon which he was presented with a certificate of title which, according to Section 21 of the Act, was conclusive proof of ownership. The statute introduced a compulsory registration system. However, the registration system was basic such that demarcation was not systemized. The title had a short description of ownership of the property and all other document pertaining the that piece of land were registered in the order that they were presented. The indigenous communities had no knowledge of the existence of this Act and even if they did, they never understood its provisions as it focused on private individual ownership of land which was a foreign concept to the indigenous communities who only recognized communal ownership of land. The Act was biased against the indigenous communities because firstly, they had an oral culture where information passed orally unlike the Arabs who had a writing culture. Therefore, it was more difficult for the indigenous people to prove ownership in the court as compared to the Arabs who had written documents to prove their claims. Secondly the Arabs conducted the actual investigations to claims of lands ownership and they were also more aligned to the colonial administration, who were unsympathetic to the indigenous people. The time limit for proving ownership was extremely short, thus locking the indigenous people from successfully proving their claims. The process of registration brought an end to rival claims that revolved over the pieces of land. After completion of the registration process all unclaimed or unsuccessfully claimed land was designated to be crown land. The state could alienate such land as it became subject to the Government Lands Act. This land was mainly allocated to those who were aligned with the state. The LTA created a land crisis at the coast region that presently exists as the indigenous people were disinherited. It replaced Crown Lands Ordinance 1915. It intended to improve efficiency in regulating the leasing and disposition of government land and related issues. The President was the only one who could sign documents granting title. However, according to Section 3 of the Act, the President had authority to delegate this power to the Commissioner of Lands, to allot land to any applicant without limitations of any law. It was intended to control the hinter land in Kenya. It introduced the deed plan which was a document drawn by a qualified licensed surveyor for purposes of identifying parcels of land. It was attached to the grant or indenture of lease. The reason of introduction of the deed was that there was need to come up with a more systematic registration process. The Act was intended to cure the defects that were on the face of the title in the earlier registration systems. It made compulsory that all future grants by the government had to be registered in line with the provisions of the deed plan. The statute abolished the requirement for compulsory registration of transactions involving unalienated government under the RDA. Such transactions were therefore required to be registered under the GLA. This was meant to bring about clarity as to whether one would register these documents under the RDA or GLA. It allowed for exploitation of both the public and private land by the government. This power was abused by the government as it allocated land to government sympathizers and any persons it deemed fit. Private land was unlawfully converted to government land and the same was allocated to individuals without following the due process. This greatly affected persons who had not registered their titles mainly due to illiteracy. The government swooped in and converted these lands to government land on the basis that it was unclaimed since it was not registered. This brought about the antagonistic relationship between the government and local communities with the government threatening their livelihood. As a result of the government taking away their lands, the people in these areas became squatters in their own land. The problem of double allocation of land also arose as land was unlawfully allocated to the highest bidder due corruption. Public land was allocated to private individually by officers and other personalities in the government who lacked the legal authority to do so hence creating a situation where individuals had fake titles. Professor Tom Ojienda counsel for the Plaintiff in the Advisory Opinion Reference 2 of 2014, further emphasized on this problem of land grabbing by the government and its officials, quoting the Ndung’u Report and Akiwami Report which show that the excessive powers granted to the government under the Government Land Act was a key factor for such injustices. It was a title registration system based on the Torrens Principles named after Sir Robert Torrens in Australia which provide that a title once granted is conclusive proof against the whole world and that the government could guarantee the title. This meant that one did not have to establish root of title. One just had to conduct a search to establish the legal owner. The statute was modeled upon the 1897 Registration of Tiles Act of the Federal Republic Malay State (new Malaysia) as well as the 1890 Transfer of Lands Act of Victoria. RTA provided for conversion that is, one could not convert an LTA or GLA title to an RTA title however the same was not compulsory. This meant that at the time there were three statutes in Kenya governing land. The statute had purported to create a unified registration system but it failed. The RDA, LTA and RTA only stipulated the procedures of conveyance. They did not provide for the substantive law. Realizing that there was a lacuna in respect of substantive law, the Indian Transfer of Property Act 1882 (ITPA) was adopted as a statute of general application on 12th August 1897, pursuant to the East African Order-in-Council. The ITPA however had its own shortcomings because it was neither a conveyancing statute nor was it a registration statute. Because of this deficiency, the ITPA documents relating to transactions had to be drawn in accordance with the English Real Property Act 1845 and 1881 Conveyancing Act of Victoria. It introduced prescribed forms to be used. Certificate of title was conclusive proof of ownership of title against the whole world. In 1960, as part of the initiative to respond to the African Land question, the Land Registration Special Areas Act was passed. It started off the process of actual allocation of land to the natives. This Act formed the basis of RLA which was enacted in 1963. It contained both the procedural and substantive law unlike all the other statutes. It introduced mandatory statutory forms to be used in conveyancing. The forms were very simple. This requirement was very strict that one had to obtain the consent of the Registrar to make any variation to the form. The register was the conclusive proof of title and absolute ownership of title. It also introduced a highly advanced system showing all registered land in a particular area including size, any claims and burdens which affected such land. Issuing of individual titles where land was communally owned created a lot of disputes. The person appointed and registered to hold the Land in trust for the rest would either charge or sell the land and leave the members of the family landless. The title issued was indivisible. 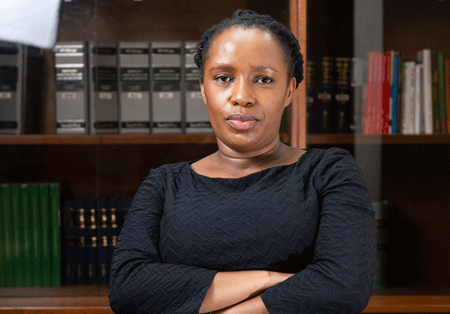 The Sectional Property Act is not a distinct and independent registration system because any registration carried out under this regime was deemed to have been carried out under the RLA. This Act introduced a vertical dimension to the use of property being the ownership of property in strata. It enables the acquisition of flats in high-rise buildings as a consequence of diminishing stock of land and corresponding to increase in the price of available land. The preamble of the Act provides that the statute was passed to provide for division of buildings into units to be owned by individual proprietors and common property to be by proprietors of these units as tenants in common and to provide for the use and management of common property. The Act only applies to freehold or to leasehold title where the unexpired residue of the term is not less than 45 years. The registration of sectional properties is done by the registration of a sectional plan in accordance with Section 9 of the Act. Jasper Mwenda has summarized contents of a sectional plan to consist of “a site and building location plan and a floor plan. The site and location plan will show the beacons for the parcel boundaries and will also show the location within the parcel”. Once the sectional plan is registered, the Registrar closes the register on that parcel described in it and opens a register for each unit described in the plan and a register for the common areas. Once a register for each unit is opened the unit can be devolved, transferred, lease or charged in the same manner as any other piece of land. A corporation is automatically constituted. The corporation is similar to a management company. Section 55 of the Act provides that the owners can terminate the sectional properties status by unanimous resolution followed by an application to court by the corporation or a member. Once satisfied that having regard to the rights and interest of the owners, it is just and equitable that the status be terminated, the court will make a declaration to this effect. The corporation thereafter files with the Registrar, a notice in the prescribed form. The Registrar then makes a notification with respect to the termination and the owners thereby become entitled to the parcel of land as tenants in common in shares proportional to the unit factors of their respective units. Section 46 provides that a developer cannot sell or agree to sell a unit unless he delivers to the purchaser the purchase agreement; the by-laws or proposed by-laws of the corporation; any management or proposed management agreement; any recreational or proposed recreational agreement; the lease of the parcel if the parcel on which the unit is located is leasehold and the certificate of sectional property that has or will be issued; any charge if the title or unit is charged; and the sectional plan or the proposed sectional plan. A purchaser can rescind the contract if these documents are not delivered 10 days before execution without incurring any liabilities. The developer is required to return all the money paid by the purchaser in respect of the unit. Normally in an agreement for sale if a purchaser rescinds without fault on the part of the vendor, the purchaser forfeits the deposit. Further, the statute provides that this information on rescission must be prominent in the purchasing agreement printed in red ink on the outside front cover or on the first page of the agreement. Section 47 goes ahead to add that the purchase agreement must contain a description, drawing or photograph showing the interior finishing of the property; the recreational facilities and other amenities; any equipment to be used for maintenance of common property; the location of roadways, walkways, parking areas etc; land scaping; and the exterior finishing of the buildings. 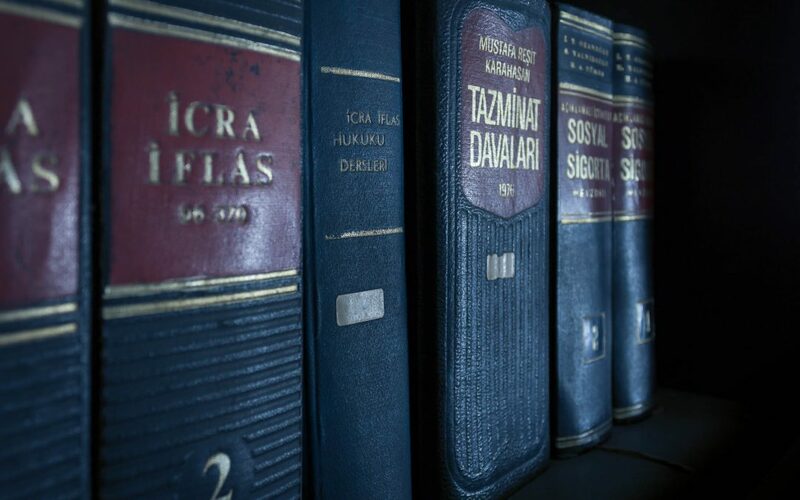 This poses a problem in developmental conveyancing because at the earlier stages of development, some of these documents may not be available. Furthermore, the developer is bound to deliver what he promised and, in most situations, developers do not like to be restricted. Usually in a sale agreement for a sub-lease there is a clause giving the vendor discretion to make changes without consulting with the purchaser. The purchase agreement further grants leeway to purchasers to sue for specific performance where the developer does not deliver what was promised. Section 48 stipulates that the monies paid by a purchaser should be held in trust except if that money is rent or security deposit or mortgage advances. In addition, that money is to be deposited un an interest earning trust account maintained in a bank or a financial institution licensed under the Banking Act. If the money is held in trust and the purchaser occupies the unit before receiving the title documents, the interest earned on that money from the date the purchaser takes possession of the unit to the day he receives the title document shall be applied against the purchaser price for the unit. In a normal off-plan transaction, developers want to be given the money to be utilized to fund the construction. The Land Laws (Amendment) Act No. 28 of 2016 which amended the Land Act and the Land Registration Act. The preamble of both Acts state that, amongst other things, the Acts are supposed to revise consolidate and rationalize the registration of the title and to give effect the principles of devolved government in Kenya. The Land Act categorized land holding in Kenya into freehold, leasehold and customary. It further provided for the various methods of land acquisition; administration and management of public land and private land; elaborate provisions on creation and enforcement of charges; and compulsory acquisition. The LRA on the other hand provides for the following, establishment of the Land registry and the Chief Land Registrar; additional overriding interests; elaborate procedures for transfer of interest inland; it recognized the Environment and Land Court established under the Environment and Land Act and it brought about the concept of digitization. The automation meant the reconstruction of records registered under GLA regime which were in a poor state and searches could therefore not be easily done. It also includes the creation of a property data base system such that a property value data base is created at the valuation division of lands. After field inspection, a valuer does a market analysis to determine the market value manually. Where the file is out of the registry, this occasion delay in collection of data. The automation also involves the creation of a Document Management System (DMS) for all approved physical development plans in the country so as to reduce time taken for vetting and verifying plans submitted for approval by the County physical planners and time taken by officers, professionals and members of the public to access and retrieve any authenticated survey plan; provide easy storage; provide security and back up in the event of loss and to provide a survey plan that can be used by many officers at a time for quality control checks. Further, it entails developing a Document Managing System for Land Title Documents Records that is scanning, indexing and archiving of deed files, land rent cards and green cards. There was also the development of a Land rent information database system handling payment of land rent and issuing demand notices. It also involved the production of digital topographical maps; establishment of the Kenya National Spatial Data Infrastructure aimed to create a platform of discovery and access of spatial information to facilitate data sharing through the internet; and creation of a land information for informal settlements meant to map out informal settlements. The automation programme has stalled due to various challenges including torn and missing land records; issue of capacity building; poor working environment; poor staff attitude; lack of integration by the department; use of outdated procedures and practices. This in turn has affected the general public and professionals who count on efficiency in the land registries. Digitization involves updating of land records online. This is done by well trained personnel. Depending on the volume of the records determines the numbers of the personnel needed. The larger the group the more expensive it is. Further, digitization creates the need for designing search and retrieval tools which is as well costly and dents the tax payers’ pockets. Transforming digital content also requires end user application and other applications which are costly. There is also the costs for creating awareness amongst members of the public who are the users of the online system, and training of the lands and companies’ employees to enable them carry out their duties effectively. Kenya has massive land records, not to mention the company records of over 100 years which have to be automated. This process will take a longer period of time to be completed, leading to unnecessary delays in land transaction and high cost in land dealings since the processes will be overly stretched. Due to the quantity of the records, more often the records are misplaced or destroyed, making it difficult to retrieve and update the same in the system. Moreover, some records are too old. The papers are tattered, not legible or missing, posing difficulties in the entire digitization of process. Owners of the parcels of lands are forced to apply for reconstruction of their files which is costly and time consuming. Change is good however it is not usually easily accepted. This problem has occurred in respect of digitization. Staff and members of the public who transact in land have a negative attitude towards digitization, claiming that it will worsen the current situation. This makes them unwilling to corporate and learn how the system works therefore, derails the digitization process. Illiteracy is proving to be difficult as most dealers in land are completely confused on how to use the online platform and they cannot afford to pay advocates or other personnel to assist on the same or when they find help, they are defrauded or exploited and their land taken away from them without their knowledge. Digitization has not been welcomed by those working at the registries, instead the employees at these registries have become advocates against it because they fear for their job security upon the success of the process. Land abuses were mainly done by those in public authorities when the manual system was still fully in use. These people could easily manipulate records and resell properties to new people yet the properties have owners leading to a scenario whereby a parcel of land had more than one owners, they converted property in their own names and grabbed huge parcels for their own benefit. Digitization would change this position and therefore, most public official are against it dragging the process which by now, could be implemented. Currently, proprietors of land are forced to do a double job of using both the manual and the digital system which is tiring, costly and time consuming. A good example is the valuation process, the presentation of documents is done manually, the investigations of the property’s value as well but the payment is done and declared online. The payment of rates and rents as well, require one to check the online system for the figures, then manual payments. It is faster and more flexible. Unlike the manual system of creation and preservation of records, digitization guarantees one the completion of transaction by the touch of the button for there is no multiple visits to be made to the various registries for example the generation of E-slips upon payment of stamp duty. It takes roughly about five minutes. One does not have to be physically present at the registries to perform different transactions as the same can be done at any time through the online portal. It saves money wasted on managing the paper records. It allows easy editing and updating of scanned documents easily. Electronic documents have the same value as manual documents as they can be legally acceptable if well maintained. It provides long term preservation of records than papers. The records are not easily misplaced or destroyed due to improper storage. It allows sharing of knowledge within and across the lands and companies registry. It reduces land grabbing because the online system of record keeping is likely to show the citizenry what land has been grabbed and by whom. The Companies Registry is responsible for the registration of business names and limited liability companies. According to the Information and Communication Technology Authority (ICTA), approximately 300 business names are registered and 200 companies are incorporated daily. The digitization of records has seen records from 2009 scanned and the data captured to allow for online search of company names and information. Provision of high-end servers that efficiently handle over 1,000,000 company files and store the scanned documents in a format that can be linked to a searchable database by the members of the public. There is increased transparency and much faster access to company registry services. Initially, people were asked for bribes in order to do a search. Files used to go missing and after a bribe, they would miraculously appear. Easier and faster way to incorporate new companies, reducing the registration process from two weeks to one day. Since the digitization was done and completed in 2010, the International Monetary Fund (IMF), using data from the Kenya National Bureau of Statistics (KNBS) found that registration of companies in Kenya has increased by 52.9% between 2010 and 2015. It is now easier and possible to register a company from anywhere in the country, avoiding the need for a physical visit to the Companies Registry in Nairobi. Access to any information regarding any company has become easier since one can search whether a company has any charges and debentures without having to physically visit the manual registry. As earlier stated, in the five years since commencement of digitization of companies, registration of businesses has doubled. This is a clear signal of an improving business environment. Transactions relating to registration of debentures has become easier and less time consuming. This has been effective especially to the legal profession and financial institutions and companies in general. It has created a conducive environment for conducting business. Sometimes, the local ‘.ke’ registry root servers fail to work and once the root servers go down, the entire records system becomes inaccessible. The last fault was experienced on 19th January 2018 when websites were not working. Hundreds of thousands of people were greatly affected since registered companies have to file for tax returns monthly (VAT) on or before the 20th of each month. They were unable to file their companies’ tax returns. The Movable Property Security Rights Act, 2017 was assented to in May 2017. This new law facilitates the use of movable property as collateral for credit facilities, establishes the office of the Registrar of Security Rights and provide for the registration of security rights in movable property. The Act also benefits small and medium-sized enterprises, which have trouble accessing financing from the formal sector. The Act establishes the Office of the Registrar for purposes of receiving, storing and making accessible to the public information on registered notices with respect to security rights and the general running of the registry. The registry is purely online and is currently fully operational. From the foregoing, the Act has enhanced access to credit facilities using moveable property as collateral, which will benefit small and medium-sized enterprises. These small and medium-sized entities have trouble accessing financing from the formal sector. This has been made easier by having an online platform. The Act does not provide any mechanism to verify that a person who registers a notice on movable property in their name is the rightful owner of the property. This could eventually lead to disputes around ownership pursuant to registration. Join our mailing list to receive the latest news and legal updates from our team. You have successfully subscribed to Wamae & Allen Quarterly. We collect this information for the purpose of identifying and communicating with you, responding to your requests/enquiries, and improving our services.